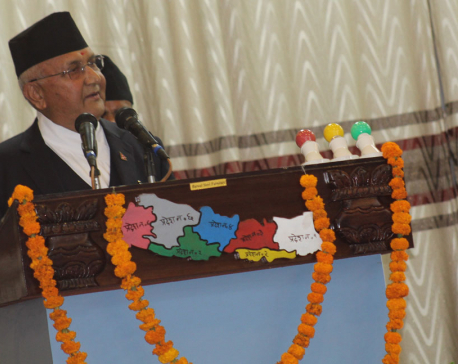 DAMAK, June 10: Prime Minister KP Sharma Oli today said no one should engage in political manoeuvrings in course of development terming 'development' as a common agenda related to all. The PM laid the foundation stone for Damak View Tower to be constructed at Dapga Gachi of Damak – 6 this morning and stressed on need to rise above political interest for sake of development. 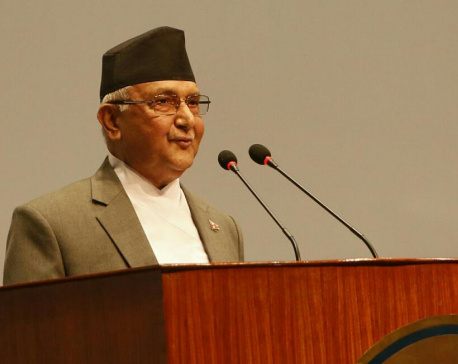 The change is possible if all can work for country's transformation towards development and prosperity, PM Oli shared. 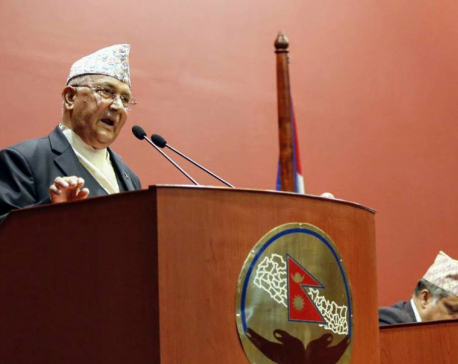 Stating that the incumbent government has started exemplary work for country's development, PM Oli said, "All should now draw the courage to really change the face of the country." The PM said he was surprised at the criticism of the opposition who termed the government's development plans as 'baseless' after the development plans were made public. PM Oli, who has arrived in Damak to participate in more than half a dozen programmes in his constituency, said he has vowed to develop Damak as a model city. The PM also laid the foundation stone of a bridge to be built over Mawa river at Damak – 5. The Nepal Government will invest Rs 1 billion for the 72-feet tall Damak View Tower, Damak Municipality's Executive Officer, Yuvraj Dahal said.